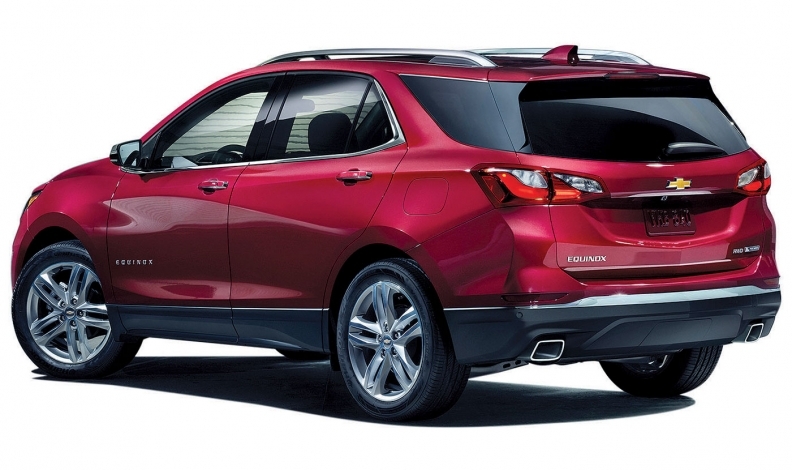 Three years ago, General Motors showed drawings of a new design for the Chevrolet Equinox, its top-selling crossover, to consumer focus groups. They weren't impressed. Too bulky. Odd styling. Not compelling enough. With the compact crossover segment heating up fast in Canada and the United States, the poor feedback stung. Development work was in the early stages, but major changes at that point can still blow the budget for a vehicle program and risk delaying the launch. That could have been especially troublesome for the Canada-made Equinox, given the importance of the segment and with recessionary spending cuts already having forced GM to stretch the current generation's life span well beyond the industry norm. "Back in the day, we would have probably just kept going," said Mark Cieslak, who had been named chief engineer of the Equinox just four weeks before that. "What we had on paper we felt was not going to win." Instead, GM -- eager to prove itself as genuinely reborn after bankruptcy and under the leadership of newly minted CEO Mary Barra and product boss Mark Reuss -- decided to change course. The company already was scrambling to fix a botched redesign of the Chevy Malibu amid weak sales and bad reviews, and the Equinox was more important to get right, even though sales of the aging vehicle had continued to be strong. In contrast to the bean counters' influence on such decisions at old GM, Cieslak said the edict to those on the Equinox team was refreshingly simple: "We're in this to win -- go get it done." They did, and without falling off schedule. The 2018 Chevrolet Equinox is shorter and lighter than the outgoing model. Wheelbase 107.3 in. 112.5 in. Length 183.1 in. 187.8 in. Curb weight 3,327 lbs. 3,764 lbs. Base engine 1.5-liter turbo 4-cyl. 2.4-liter 4-cyl. Passenger volume 103.2 cu. ft. 99.7 cu. ft.
Max cargo volume 63.5 cu. ft. 63.7 cu. ft.
EPA mpg 26 city/32 hwy. 21 city/31 hwy. The 2018 Chevy Equinox, above, is 4 inches shorter than the current model. The 2018 Equinox, which made its official debut in Canada at the 2017 Montreal International Auto Show, represents the first redesign for the nameplate in eight years. 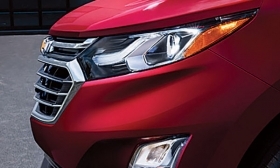 Sales of compact crossovers continues to increase in Canada, bleeding customers from the car segment. Canadian sales of the existing Equinox fell three per cent to 19,197 units in 2016. In the United States, the drop was bigger, with sales falling 13 per cent to 242,195 units in 2016. Thus, the stakes for the third-generation Equinox are exponentially greater than the last time around, making its launch among the biggest for GM in years. Its success is crucial as GM works to bolster Chevy's image and draw in younger buyers who seek the utility and fuel economy that small crossovers offer and are more open to switching brands than their parents were. "These are the new family station wagons of America," said Michelle Krebs, a senior analyst with Autotrader. "The segment is huge, and we don't see any slowdown. There's definitely room for sales volume growth for Chevrolet. If they can make some inroads with it, that should do well for the entire brand." To support the anticipated sales increase, GM plans to make the Equinox at three North American plants, including one in Ontario that's currently building only the 1.5-litre engine version. GM officials declined to identify the other two plants, but they are expected to be in Mexico, where the company has said it will move production of the GMC Terrain, which shares underpinnings with the Equinox. At 242,195 units in 2016, the Equinox accounted for eight per cent of GM's U.S. sales, second to only the Chevy Silverado. But the need for a significant update is clear: It fell from third in its segment as recently as 2013 to fifth place last year, outsold by rivals from Honda, Toyota, Nissan and Ford. The Equinox also needed to be downsized. It was 3-10 inches longer and at least 212 pounds heavier than all of its more popular rivals. So in the frenzied months following the consumer clinics, engineers switched the Equinox to a smaller platform. They made the new model 4 inches shorter than the current one and improved its proportions by eliminating the seven-passenger version for overseas markets. Shrinking the vehicle allowed for vastly improved ride and handling while also making it more fuel efficient. "That brought it into the heart of the segment," Cieslak said. Despite the smaller profile, legroom in each row declined by no more than three-tenths of an inch from the 2017 Equinox, and total passenger volume actually increased by 3.5 cubic feet. 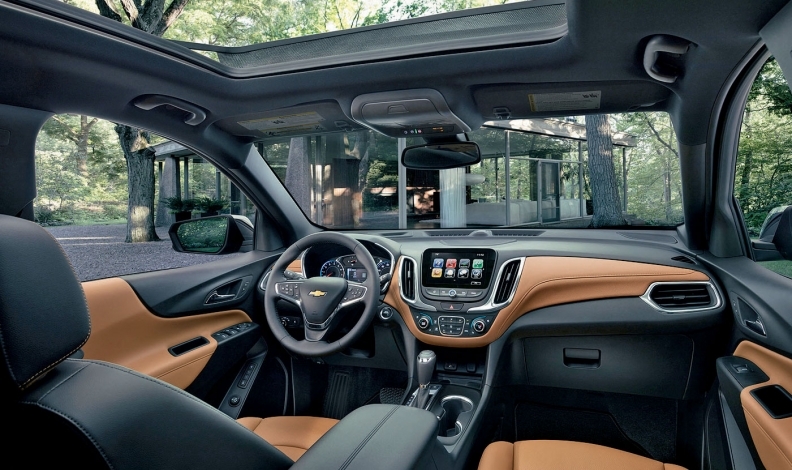 On the inside, total passenger volume of the 2018 Chevy Equinox increased. GM expanded the vehicle's engine lineup to include a sportier 2.0-litre turbo and a class-exclusive diesel option. (Mazda's CX-5 is expected to get one this year.) It packed in safety and infotainment technology, installing more USB ports than there are seats. And it pushed everyone on the project to reduce weight at every opportunity. "We had engineers lined up down the hall every Friday to show how they could take a gram out of their part until we pulled out 400 pounds," Cieslak said. They removed the heavy mechanism that allowed the rear seats to slide forward and backward after learning that few customers ever used it or even knew it was there. Besides saving weight, the fixed-position seats also can fold down more fully, creating a flat cargo floor that the outgoing model didn't offer.